Multiple offers are back in the Glenwood Springs real estate market. With a scarcity of available homes for sale and a strong interest in the Glenwood market, interested home buyers are faced with a less than ideal scenario. 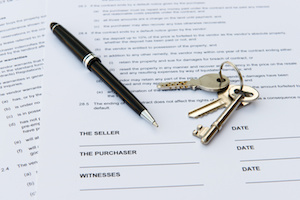 Lately several clients of mine have fought tough competition with multiple offers on the table for their top choices. In just the last two weeks, two buyers bidding on homes in Glenwood Springs and another bidding on a home in Carbondale faced multiple offer scenarios. This is a challenging field to navigate as it adds a complex emotional element to what is already an exciting and nerve wracking moment. Sometimes, a buyer’s first response is to raise their hands in the air and say, "Forget It" - they just don't want to get into a bidding war. Pending your situation, this might be the right decision. Since Realtors are typically in the dark about how strong (or not) the other offers are, I counsel my buyers to settle on a price that they feel great about - whether the offer is accepted OR if another buyer outbids them. I also remind them that it’s not unusual to feel like they have overbid if their offer is accepted in this scenario. It’s only natural to wonder how much the other buyer bid and why they lost. Confidence is assured through a clear strategy and a thorough analysis of the home's market value. The additional protection provided by an appraisal condition is also re-assuring to buyers in this marketscape. If you are a buyer currently searching for Glenwood Springs real estate, prepare for this scenario in advance - physically AND mentally. If you’re serious about a listing, it’s imperative to be decisive and move forward quickly in submitting an offer. Over the years, I’ve witnessed buyers drag their feet over a few days before deciding to submit an offer, only to eventually find themselves in competition with another buyer. Had they reacted quicker, they could have avoided this situation altogether.